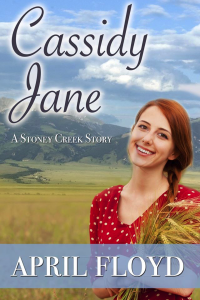 This installment of Ten Questions features our first indie author, April Floyd, author of the ongoing Cassidy Jane series (Christian Fiction) as well as several Jane Austen Variations featuring beloved characters from Pride and Prejudice, and was a founder of the much missed website, The Cheap eBook. As someone who reads (possibly) way too much Austen fan fiction, I can say it’s refreshing to find an author who gives Mary a personality and a happy ending. The story was enchanting and I really enjoyed watching Mary come into her own and stand apart from her family. 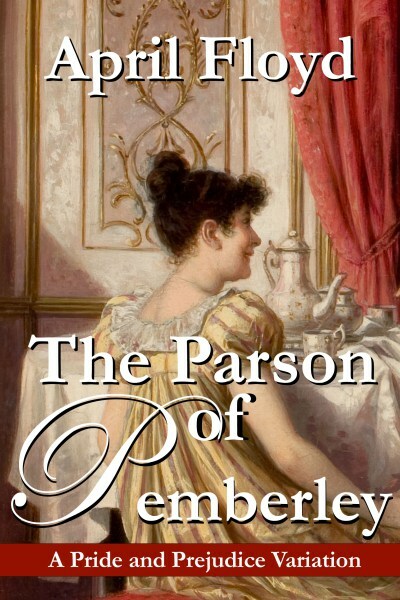 My only disappointments with the book were with some editing and language choice issues (use of first names instead of formal Miss and Mr’s in conversation, some use of modern slang or other non-regency era language etc). As a picky Austenite, these would usually cause me to drop a book before it even got started, but the plot here is the star and kept me reading even though my Austen OCD was offended. Minor editing details can always be fixed, but being a gifted story teller is innate–I will definitely be reading Ms. Floyd’s next book. I highly recommend Ms. Floyd’s books for anyone looking to check out a gifted new author. April Floyd: Directly, it is a southern word that means shortly or pretty soon but often not. AF: Music, dreams, the action of allowing every type of thing to happen in the realm that is a blank sheet of paper. AF: Life getting hectic, some things take time to brew, not being able to predict my schedule. AF: Babies! Rain on the roof. AF: Vulgar words said where kids can hear. AF: Poe/Faulkner/Shirley Jackson. Poe for his melancholy, Faulkner for his ability to convey words in a beautiful, painful way and Miss Jackson for her revealing works that people always thought of as coming from her conscience but was actually a mirror for others. AF: I love what I do and can’t imagine more. I get enough face to face with people and then I can go live in my own world. AF: One that kept me from helping others. April, THANK YOU for joining us!